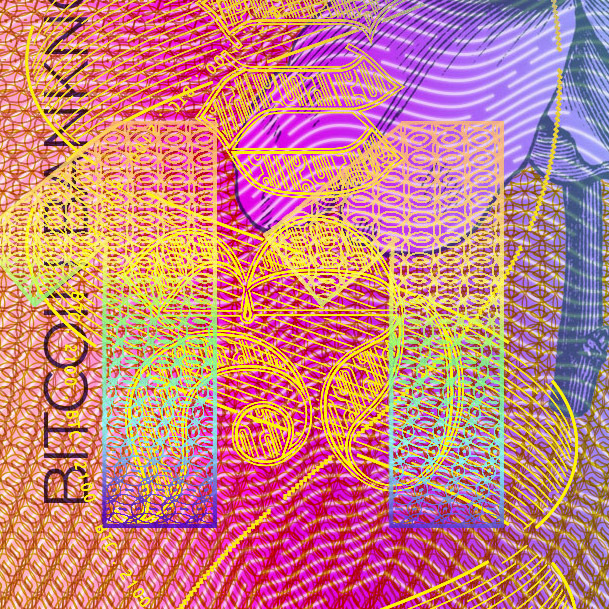 This design was a testing ground for a series of commissioned works: bespoke Bitcoin ‘banknote’ wallets. 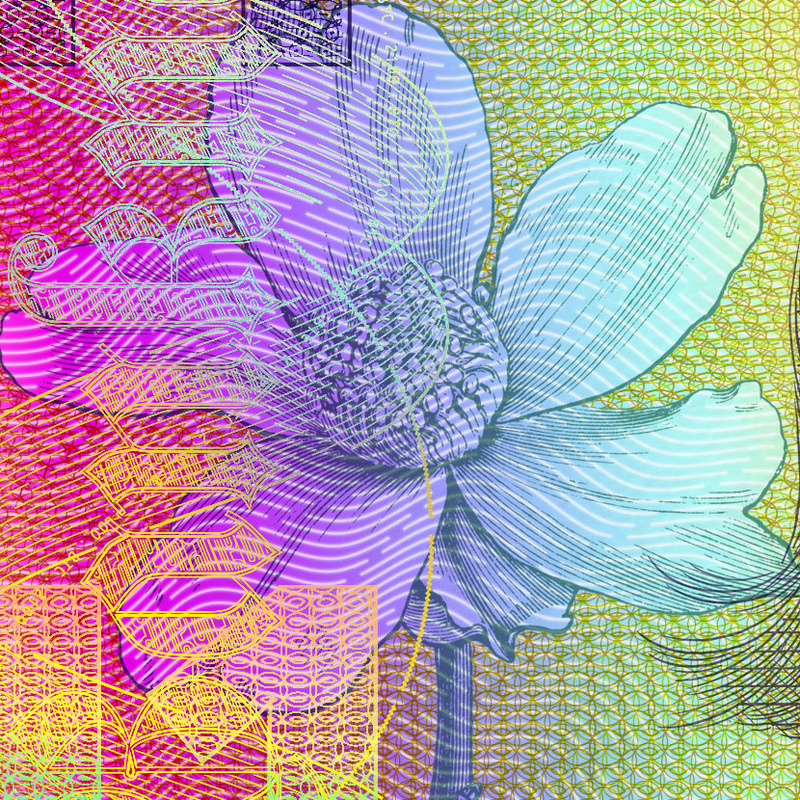 In thinking about the future of cash, currency and ID, I decided to blend all three – the final design is a nationally-issued plastic Bitcoin wallet, with a personalized portrait. Anything can become a Bitcoin wallet, as long as it has a sending and receiving address. Inevitably, the transparency of cryptocurrency will become merged with biometric ID – and you have something that looks like this. 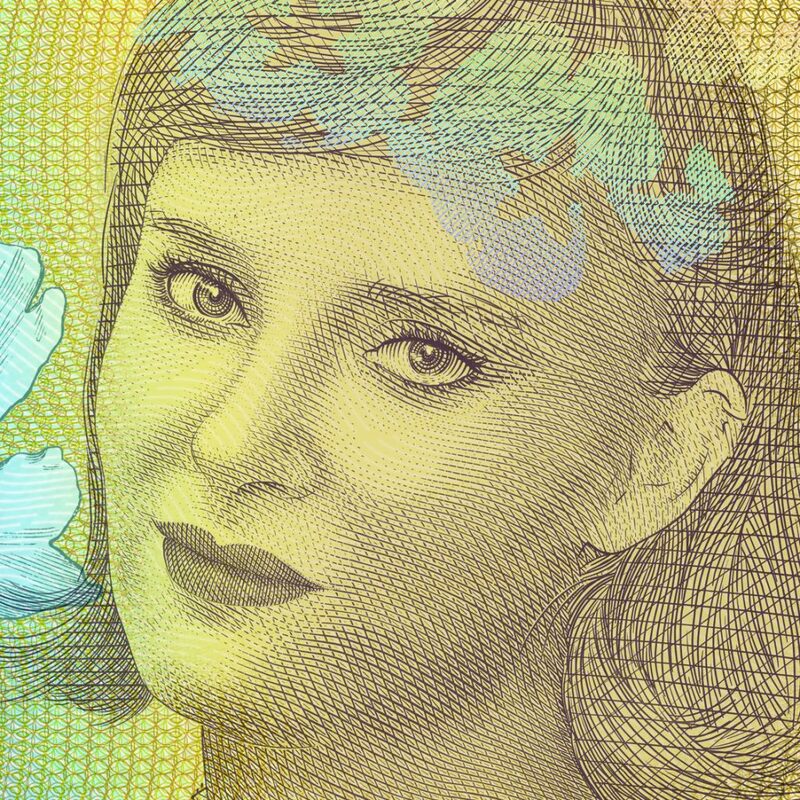 Of course, this design preempts a post-Euro Europe, in which national currencies are reinstated, and ultimately merged with cryptocurrency. It’s a fantasy design, because the holography is slightly beyond current technological abilities, yet it is realistic enough. 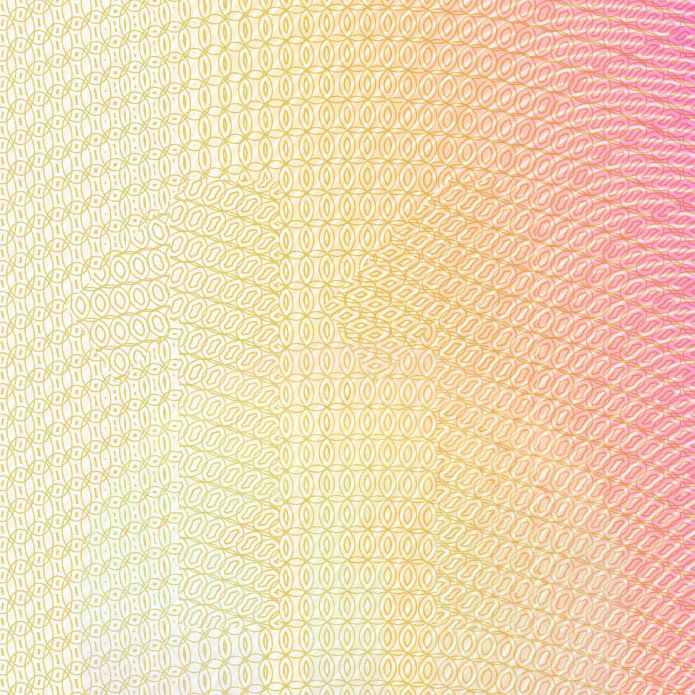 The design proposes intaglio features, numerous holographic areas, and an offset background. The portrait subject is my German friend Lucie, so I imagined this as a German-issued object. Accordingly, the starting point for the design was the pre-Euro German Mark. They’re pretty simple in design, and recognizably German. The series features a standard line tint pattern background, beautiful dense engraved portraits, Germanic typeface, and illustrated elements. I included all the above, with the illustrated element chosen by Lucie – a Forget-Me-Not flower. The design was basically done in half a day, and it seemed to intuitively construct itself. The most labor-intensive aspect of the design was the engraved portrait, for which I learnt how to engrave from scratch. The original version featured a portrait made using a Photoshop filter. Though it follows the topography of the face quite well, I really wanted to include a genuine hand-engraved portrait. The final portrait was made in a record 5 days. I’m never afraid of new design challenges and I demand completion! 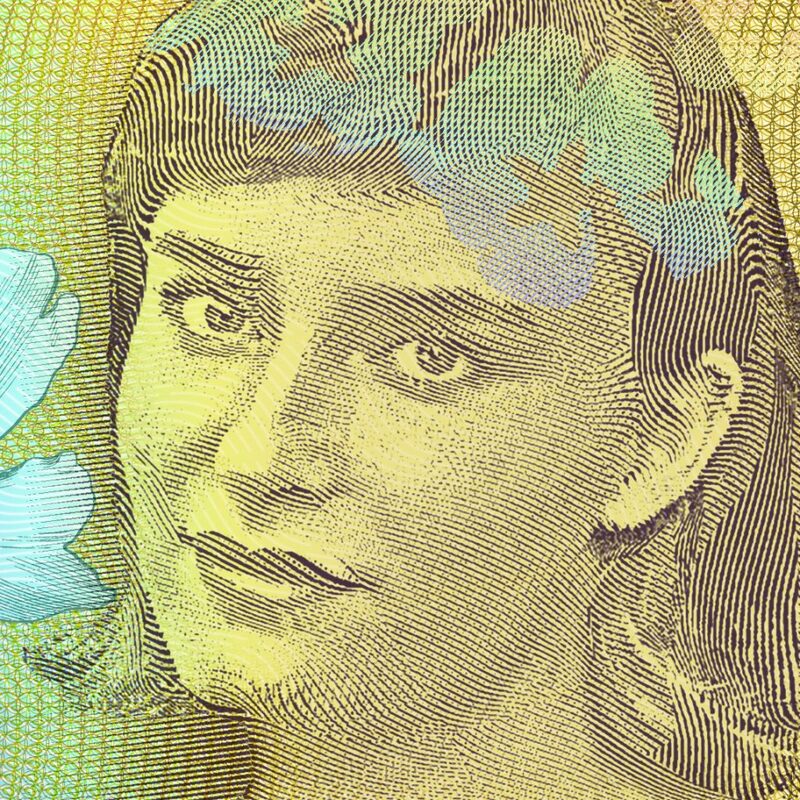 This work stands as both my vision of the future of cash, my ability to work from existing design templates, my fast turnaround time, and my first engraved portrait.